It is annoying when the TV is broken, isn’t it? Of course it is! 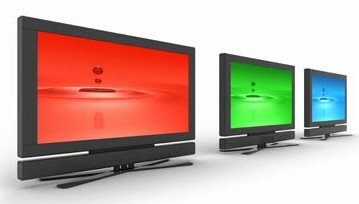 Fast TV repair service is what you need! Today the TV is more than just a way to watch television – it’s a way of life! It connects us to the internet and now has the ability to support high quality file formats used for movies and music. The creation of the TV has made it again one of the most used and beloved devices in everyone’s house. Of course this beloved treasure is going to experience problems from time to time or being humans we might accidentally damage it. If either were the case, we would want a fast TV repair service to fix it IMMEDIATELY! 1.) Two weeks for TV repair services is too long and out of the question. 2.) TV’s are large (we love big screens) and transporting them to different repair facilities is not easy. 3.) While in transit it could fall or experience even more damage, which may not be covered from warranty. 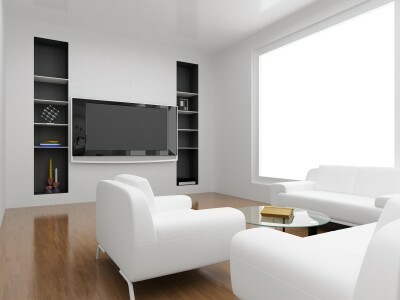 The fastest way to fix your TV the most efficiently is to use a same day TV repair service that will provide reliable inspections and repairs onsite (if it’s possible). The well trained and experienced TV repair technicians at Hao’s TV Repair will provide you with not only fast TV repair service, but the most accurate TV inspection and diagnosis straight from the comfort of your home. We will give you the best options – which may be buying a new TV, replacing the a part of the TV or just recycling it altogether. If fixing the problem onsite is not possible – our experienced TV repair technicians will deliver it to our Company’s repair facility, as a last resort option. Our employees have a heavy schedule, but we maintain efficiency by managing our time accordingly so we can schedule all of our callers for same day TV service. 1.) Just simply give us a call, tell us the diagnosis and schedule an appointment – the rest is up to us. 2.) After a careful inspection we’ll provide you with a quote. 3.) Once you agree to the price and a payment is made we’ll begin work at your home right away – without any transportation expenses. The Company started in 1994 under the guiding hand of Mr. Hao Tang, former worker at the Mitsubishi factory. He is the one who started the company and helped it to grow ever since, providing fast TV repair services to the people of Los Angeles, Orange, San Bernardino and Riverside County. Till this day the company continues to work as fast and accurately as ever before and TV’s have never been in safer hands. Using an in home TV repair service is the fastest and the best way to fix your TV, without worrying about transporting it here and there. All you need to do is make that phone call, nothing else (800) 314-8373. This entry was posted in T.V. Repair Southern California and tagged fast tv repair, fast tv repair service, fast tv service. Bookmark the permalink. Pingback: Smart TV Setup Installation | 1 Day TV Repair | L.A.O.C.I.E.